TD Marketing represents many manufactures which allows us to offer the unique ability to provide an entire restaurant, bar, or any food service facility with many different options to meet all of your needs. The locations below are a showcase for the equipment that we represent. One of the most popular restaurants in Red Bank New Jersey, Red Rock redrockrb.com is a Jersey Shore Showcase containing several of TD Marketing's manufactures. 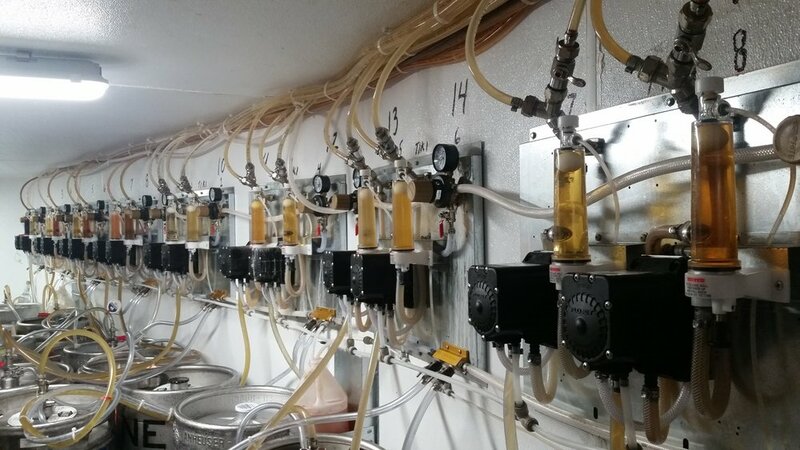 The ChillRite32 Beer System is installed for all of the bars. The entire kitchen is Bakers Pride equipment. Beverage Air refrigerators, freezers, and back bars. Moyer Diebel glass and dishwashers. CresCor holding cabinet, Moffat oven, APW heat lamps. Du’s Donuts & Coffeewww.dusdonuts.com a donut and coffee shop in Williamsburg, Brooklyn created by Chef Wylie Dufresnea, This location features Sirman, ITV, Beverage Air, Moyer Diebel, and Antunes Walter Filtration.